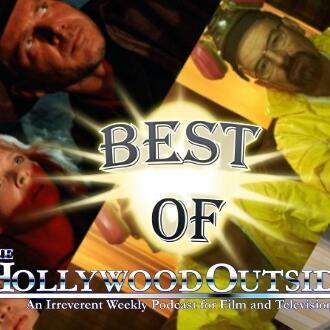 As we take the week off, here are four of our most popular topics on our final Best of 2018 compilation: Behind-the-Scenes Hollywood Stories, Pixar Movie Battle Royale, Is Television Getting TOO Serialized, and Let's Puppet Up A Movie. As well as a short collection of outtakes from our January special on former host, Justin Macumber. First up, from Episode 317: Hollywood has been inundated with scandal and sadness for the last long while, therefore on this segment, we’re bringing forth the joy! We are going to share some of our favorite stories we’ve found revolving around Hollywood. Possibly a celebrity doing something for a child, a fascinating story behind a production, or a celebrity’s personal triumph. This is about sharing some favorite Hollywood behind-the-scenes stories! Next, we head to Episode 323: When 24 hit the air many years ago, it was an eye-opener in terms of what television could do. For 24 consecutive episodes, this series told one single day’s worth of story. Each episode leading directly into the next, leaving little chance to jump into the show mid-season and have any idea what was going on. Flash forward to 2018, and it seems like EVERY show is doing this. Unless you’re a slave to CBS, television is dominated by the season-long arc. Some even take it a step further – like Breaking Bad or Walking Dead – and make the entire series one singular story. Has it gotten to be too much, though? Have we finally arrived at the breaking point? Is television getting TOO serialized? Next, we head to Episode 315: In 1995, Pixar released their first feature-length film, the computer animated classic Toy Story. Soon after, A Bug’s Life and Toy Story 2 released in quick succession, with titles continuing to drop annually. The studio revolutionized animation for the modern generation, and in 2006 was purchased by the previous dominator in this arena: Disney. Over the past 20-plus years, Pixar has racked up billions in box office receipts, and even more in memories for movie fans. On this segment, our four hosts pick our two favorite Pixar classics, and break down what is the greatest Pixar film in history! Finally, we come to Episode 324: What is the deal with puppets? Are we running out of human actors? Then why do we enjoy puppets so much? On this segment, we discuss the world of puppets, if we prefer the humorous or horrific brand, and most importantly: what movies would instantly improve with the addition of puppets? (36:00 – 57:59) Episode 323: Is Television Getting Too Serialized?